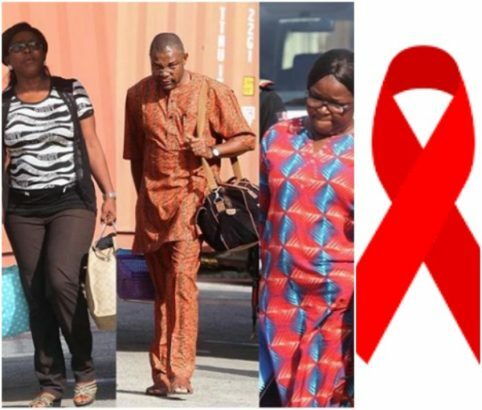 3 NGO staff arrested for mismanaging N4.5m meant for people living with HIV – Royal Times of Nigeria. The Economic Financial and Crimes Commision, EFCC, on Thursday, May 3, 2018, arraigned the trio of Owolabi Kayode Samuel, Esther Olubukola Mate and Abimbola David-Orugun before Justice Hakeem Oshodi of the Lagos State High Court sitting in Ikeja, on a three-count charge bordering on conspiracy and stealing to the tune of N4.576m. The defendants, who are staff of Hope Worldwide Foundation, were arraigned alongside Cumulative Ventures Limited and Continental Best Buys Limited. Led by the prosecution counsel, the first prosecution witness, PW1, Abasiekong Udobang, Programme Manager, MTN Nigeria, told the court how the defendants misappropriated funds meant for the treatment of people living with AIDS and the less-privileged in the society. Justice Oshodi adjourned the case to June 26, 2018 for continuation of trial.